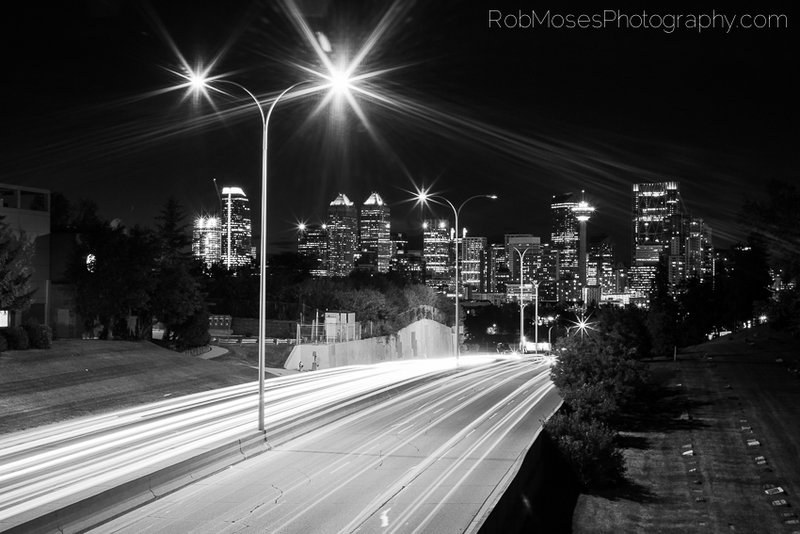 This entry was posted in Cities and tagged 50mm, 5D mark ii, 5D2, 5Dii, Alberta, beautiful, Black & White, buildings, Calgary, Canada, Canon, City Life, metro, mk1, mki, photo, Photography, pretty, sky, Skyline, Urban, yyc. Bookmark the permalink. A nighttime skyline perspective of Calgary that I don’t believe anyone else has shot before. Very nice.